The Accipiter® NM1-8A Avian Radar System is a software-definable, 2D surveillance radar specially designed to detect and track birds and bats. The system includes one radar sensor integrated into a NEMA-4 rated environmental enclosure, which houses the radar sensor electronics, digital radar processors, radar remote controller, radar data manager, power management and data communications components. The Radar System includes a high-resolution, X-band transceiver with 8’ array antenna that can be operated in either a horizontal or vertical orientation. S-band sensors are also available. The Accipiter® NM1-8A is well suited for use at wind farms for pre-construction assessments and post-construction monitoring, as well as at mining operations to provide bird situational awareness, and to assess and quantify the risk to birds coming in contact with tailings ponds and other hazards that could harm them. Optionally, the Accipiter® NM1-8A can be upgraded to include our patented Deterrent Activation Processor (DAP) which, under smart radar control, can trigger any number of radar-activated deterrent devices deployed to persuade birds and bats to alter their course to avoid possible harm. The Accipiter® NM1-8A Avian Radar System is built on Accipiter’s patented Radar Intelligence Network™ (RIN) platform technology which allows it to grow to meet your changing needs, flexibly and affordably. Additional sensors can be integrated, including radar sensors to expand coverage, as well as secondary sensors such as ADS-B, AIS, and cameras to increase awareness. The Accipiter® NM1-24D Avian Radar System is a software-programmable, 3D volume surveillance radar specially designed to detect and track birds and bats. The system includes one radar sensor integrated into a NEMA-4 rated environmental enclosure, which houses the radar sensor electronics, digital radar processors, radar remote controller, radar data manager, power management and data communications components. 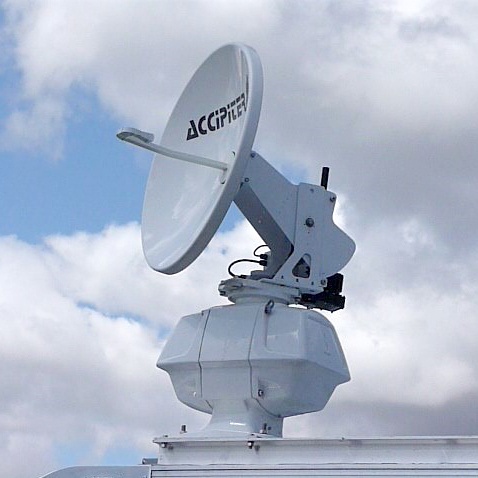 Accipiter’s Total Coverage® 24D agile, X-band dish antenna is user programmable so that it can scan anywhere in the hemisphere. The Accipiter® NM1-24D is well suited for use at wind farms for pre-construction assessments and post-construction monitoring, as well as at mining operations to provide bird situational awareness, and to assess and quantify the risk to birds coming in contact with tailings ponds and other hazards that could harm them. Optionally, the Accipiter® NM1-24D can be upgraded to include our patented Deterrent Activation Processor (DAP) which, under smart radar control, can trigger any number of radar-activated deterrent devices deployed to persuade birds and bats to alter their course to avoid possible harm. The Accipiter® NM1-24D Avian Radar System is built on Accipiter’s patented Radar Intelligence Network™ (RIN) platform technology which allows it to grow to meet your changing needs, flexibly and affordably. Additional sensors can be integrated, including radar sensors to expand coverage, as well as secondary sensors such as ADS-B, AIS, cameras, weather sensors and FOD detection systems to increase awareness. The Accipiter® NM1-F24D Avian Radar System is a 3D software-programmable, 3D surveillance radar specially designed to detect and track birds and bats. The system includes one radar sensor integrated into a NEMA-4 rated environmental enclosure, which houses the radar sensor electronics, digital radar processors, radar remote controller, radar data manager, power management and data communications components. Accipiter’s manually-adjustable, X-band dish antenna can be set to any angle in elevation to sample birds and bats at altitudes of interest. The Accipiter® NM1-F24D is well suited for use at wind farms for pre-construction assessments and post-construction monitoring, as well as at mining operations to provide bird situational awareness, and to assess and quantify the risk to birds coming in contact with tailings ponds and other hazards that could harm them. Optionally, the Accipiter® NM1-F24D can be upgraded to include our patented Deterrent Activation Processor (DAP) which, under smart radar control, can trigger any number of radar-activated deterrent devices deployed to persuade birds and bats to alter their course to avoid possible harm. The Accipiter® NM1-F24D Avian Radar System is built on Accipiter’s patented Radar Intelligence Network™ (RIN) platform technology which allows it to grow to meet your changing needs, flexibly and affordably. Additional sensors can be integrated, including radar sensors to expand coverage, as well as secondary sensors such as ADS-B, AIS, cameras, and weather sensors to increase awareness. The Accipiter® TX2-24D/F24D Avian Radar System is a software-programmable, 3D volume surveillance radar specially designed to detect and track birds and bats. 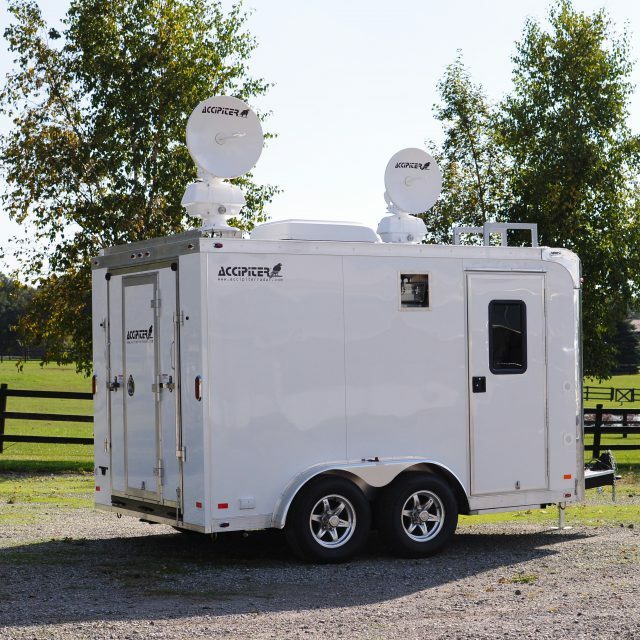 The system includes two high-resolution, X-band radar sensors integrated into an environmentally-controlled, relocatable trailer which houses the radar sensor electronics, digital radar processors, radar remote controllers, radar data server, power management and data communications components, as well as providing human work areas. One sensor is configured with Accipiter’s F24D 24” dish antenna that is set to a user-selected, fixed beam elevation angle using a manually-adjustable thumbwheel. 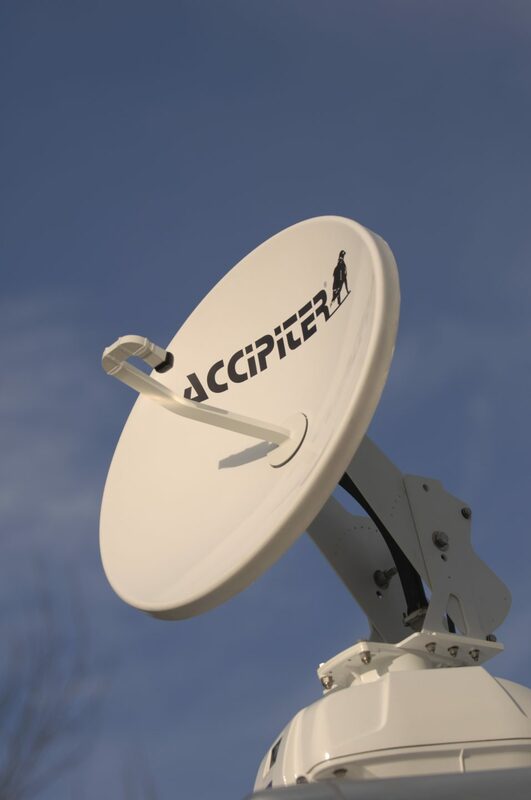 The other sensor incorporates Accipiter’s Total Coverage® 24D agile dish antenna that is user programmable so that it can scan anywhere in the hemisphere. 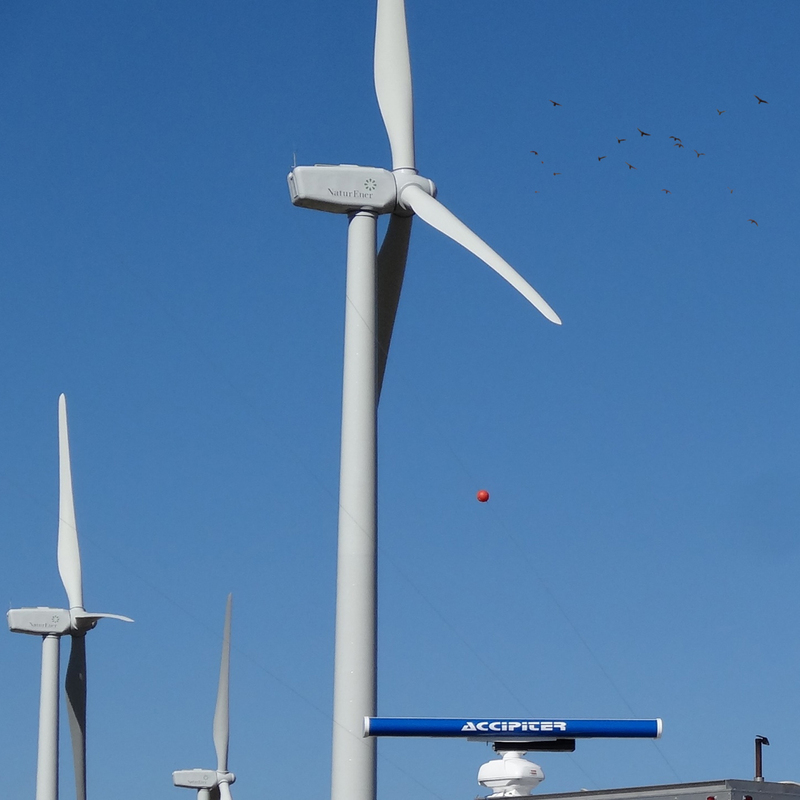 The Accipiter® TX2-24D/F24D is well suited for use at wind farms for pre-construction assessments and post-construction monitoring, as well as at mining operations to provide bird situational awareness, and to assess and quantify the risk to birds coming in contact with tailings ponds and other hazards that could harm them. Optionally, the Accipiter® TX2-24D/F24D can be upgraded to include our patented Deterrent Activation Processor (DAP) which, under smart radar control, can trigger any number of radar-activated deterrent devices deployed to persuade birds and bats to alter their course to avoid possible harm. The Accipiter® TX2-24D/F24D Avian Radar System is built on Accipiter’s patented Radar Intelligence Network™ (RIN) platform technology which allows it to grow to meet your changing needs, flexibly and affordably. Additional sensors can be integrated, including radar sensors to expand coverage, as well as secondary sensors such as ADS-B, AIS, cameras, and weather sensors to increase awareness. Accipiter offers several carefully engineered systems to address your particular Environmental Protection problems, and they are all built on our patented and game-changing Radar Intelligence Network™ (RIN) platform technology. The RIN architecture ensures your system can easily adapt and grow with your changing threats and needs. 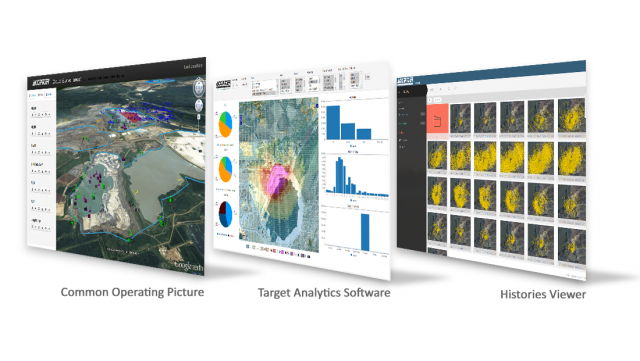 Our novel approach to wide-area, real-time detection, tracking, post processing, and display coupled with on-the-fly and interactive analytics applied to historical target data sets us apart from any other radar systems provider, by giving you unprecedented situational understanding and decision support. 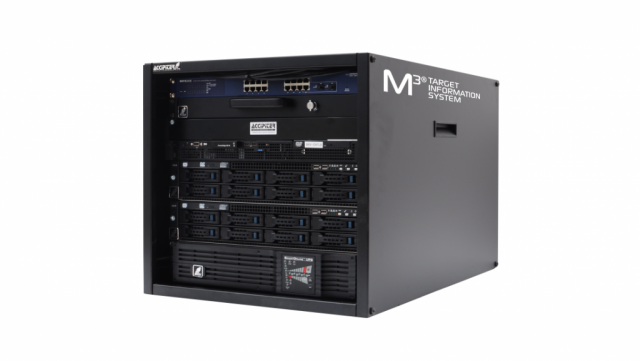 Our RIN allows any number of sensors to seamlessly connect over any TCP/IP network to our patented M3® Target Information System which forms the heart of all our delivered systems. The Accipiter Device Activation Processor (DAP) implements any deterrent strategy using target behavior and location combined with site-specific deterrent activation logic. The logic is easily reprogrammed in response to changing conditions or habituation. High powered acoustic devices and propane cannons are among the available deterrent devices. For coverage of large tailings ponds, we provide floating platforms equipped with acoustic and visual deterrents including an oversized, animated falcon effigy. Customer-owned or specified deterrents can also be incorporated. Our advanced 3D tracking ensures that deterrent activation is limited to birds tracked on a path towards contact with wind turbines or tailings ponds, preventing unnecessary activations and reducing the rate of habituation to deterrents. Accipiter’s multi-sensor, multi-mission, multi-user M3® Target Information System (TIS) provides the ultimate in multi-sensor target data processing, query and retrieval, enabling rapid and efficient understanding that leads to strategic and tactical decision making. The TIS not only organizes, stores indefinitely, integrates, manages and distributes the rich sensor target data in earth coordinates; but it also drives an ecosystem of user apps we call Surveillance-to-Intelligence™ (S2I) tools to deliver tactical and strategic information to users. Furthermore, deterrent activation data and system health data are also maintained in the TIS so that system availability and deterrent effectiveness can be monitored, and support staff dispatched to correct system issues, only as needed. Real-time replication technology (RTRT) mirrors the TIS to other locations for partner information sharing, data redundancy and data protection. Accipiter provides a suite of easy to use S2I tools, giving users with different roles or missions the situational understanding they need to be more effective at performing their duties. Tactical tools such as the Accipiter® Radar Common Operating Picture (COP) give system operators a real-time map-view of bird/bat tracks, deterrent activations and system status enabling in the field maintenance and response personnel to take necessary and timely action when required. Our tablet-based Mobile Response COP gives responders in vehicles a user-centric display, allowing them to more easily put their own eyes on live targets of interest so they can take action. Our strategic S2I tools interactively or on-the-fly rapidly mine the TIS’s historical target data to give analysts understanding of target activity patterns; and managers specialized reporting with metrics and key performance indicators (KPIs) that allow them to better manage and allocate resources to mitigate risk. The Accipiter® Track Histories Viewer delivers spatial patterns of tracks around your site every hour, while the Accipiter® Target Analyzer Software (TAS) allows the analyst to generate a variety of temporal and spatial target activity distributions including heat maps, all filtered by time, date, size, speed, heading and altitude. Contact us for more information on our S2I tools and flexible approach to situational awareness possibilities.